Trusted Reviews has tested a superzoom camera from Pentax. 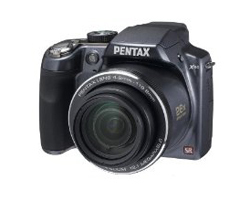 The digital camera is called Pentax X90 and has an incredible 26x worth of optical zoom. It also comes with 12 megapixels and a triple anti shake system that make your pictures sharper. Trusted Reviews ends up giving the Pentax X90 a total score of 8 out of 10 points. The X90 scores highest on value for your money, a little lower on build quality and features while scoring lowest on image quality. The Pentax camera is really good for a superzoom camera (especially if you look at the price tag), but Pentax could do some more work on improving the image quality in their next ultrazoom camera. Read the full review of the Pentax X90 digital camera here.